In 2001, eFulfillment Service (EFS) began as a dependable order fulfillment provider for small to mid-sized publishers and authors. Today, we are an established leader in book fulfillment, providing reliable and affordable services that consistently save our clients valuable time and money. If you’re a publisher or author in need of low-cost storage and order fulfillment services, including fulfillment for titles sold online through Amazon, eBay or your own web store, here are some of the reasons why we believe we can help your business. Whether you ship 10 orders per month, or 10,000 orders per month, our services easily scale with your business. Book fulfillment services from EFS allow publishers and authors to transform several fixed costs, such as warehouse rent and labor, into predictable variable costs that more closely align with your order volume. 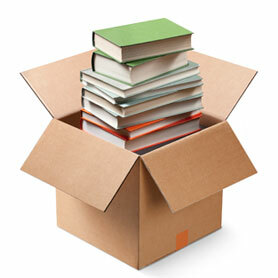 Below is a list of the complete book fulfillment services offered from EFS. With each service, you pay as you go with no long-term contracts, and we will custom build a service plan that fits with your unique needs. At eFulfillment Service, our specialty is order fulfillment. That’s what we do. Our experience, technology and expertise allow for efficient, cost-effective order fulfillment of your books, while our dependable services free up more time for you to focus on other things. As you gain more time for your business, you will maintain constant visibility over your fulfillment operations. Our proprietary Fulfillment Control Panel allows authors and publishers to monitor their inventory, orders and shipments from anywhere, at anytime. Many book fulfillment companies make it difficult, with minimum storage requirements, order volume requirements, and long-term contracts. Get a free quote today for our award-winning book fulfillment services.